Watching Anna Sui SS18 Collection at New York Fashion Week this past Monday was a spectacular experience. The amount of detail put into each look was exquisite. 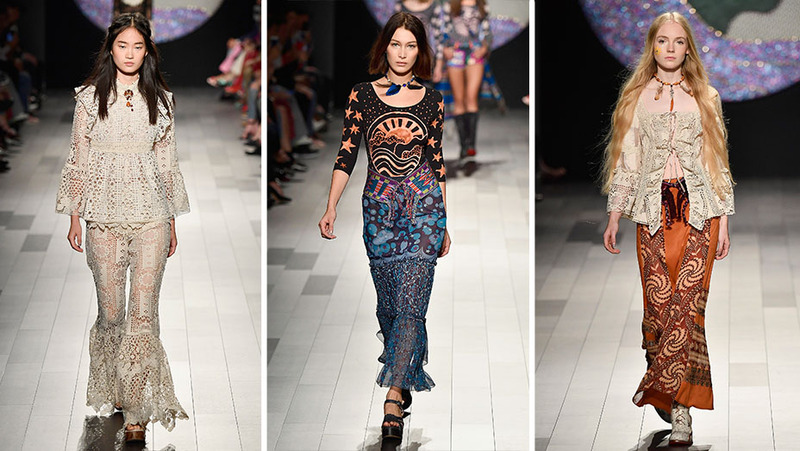 Each model channeled the the laid back Coachella vibe and the hippie chic motifs perfectly as they strutted down the runway to the sound of Beatles. But, of course, the real starts of the show were Gigi and Bella Hadid. The sisters opened and closed the show but it’s what happened in between that had everyone talking. 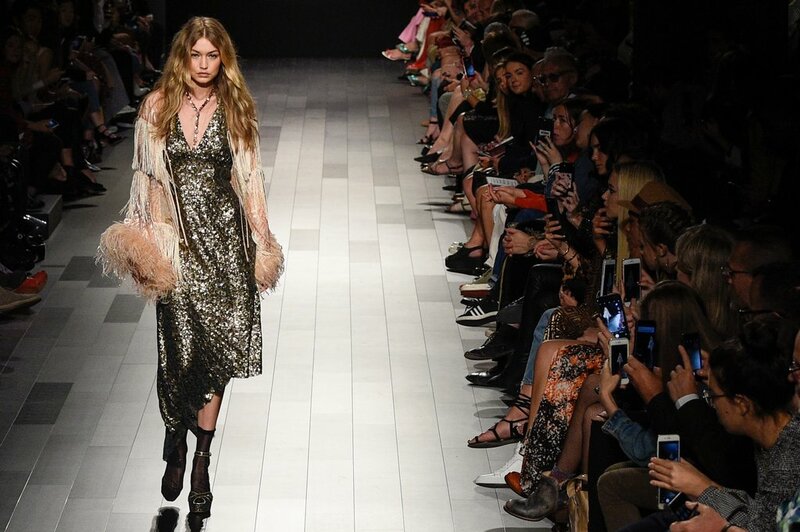 While strutting in her second outfit, Gigi lost her high heel platform on the turn of the runway. Despite the mishap, she walked it off like a pro. It was scarcely noticeable that something was amiss because her walk remained as confident and elegant as ever. Only after watching a recording of the show did I realize Gigi’s shoe actually came off. In the finale, Bella had her sister drape an arm over her shoulders and supported Gigi. The pair made the final loop on the runway wearing three shoes between the two of them and laughing at the situation. 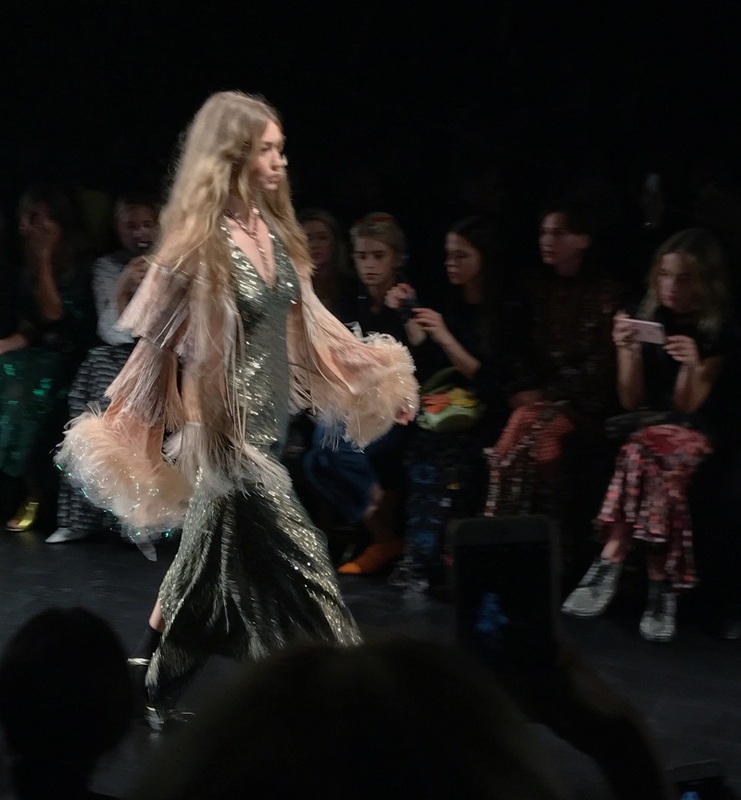 The blast-from-the-past inspiration which Anna Sui tied into her whimsical SS18 collection and the lean-on-me attitude of the Hadid sisters brought out a feeling we all felt on the anniversary of the 9/11 tragedy. The message was right in front of us on the podium of the New York Fashion Week: We can overcome any misstep, we just have to keep on marching.